Google has done it again! 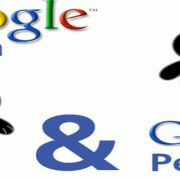 It introduced Penguin 2.0, which only means that some SEO experts need to change their strategies. After announcing its release, head of Google’s search spam Matt Cutts assured hardworking internet marketers that the new release would be able to deal with spam in a better way because it uses an improved technology. Now, you may be one of the people who have been hit by the penguin 2.0 and don’t know where to begin. Well, here are some of the top things that you need to do in order for you to recover from as penguin 2.0 related slap by Google. Google now employ human moderators rather than just search bots to scan and review websites that contains “thin content,” and uses black hat SEO techniques – link farming and cloaking – to unethically influence search engine rankings. So, now “user experience” is the key! Regardless of the number of updates that Google introduces, you need to make sure that your link profile is clean. Since you may have been using different SEO skills for the last couple of years before the penguin updates, it’s likely that you may have a couple of ‘unnatural’ links in your website which is what Google is fighting. If you were using paid links and the like, it’s good to trash them before Google catches up with you. You can do this by using a couple of tools such as Google webmaster tools, open site explorer, and linkbuilder among others. These tools help you in analyzing all backlinks in your entire website. Use disavow tool, provided by Google to help webmasters, to identify and remove spammy links that infest your website and pages. If your website has received a manual penalty notice from Google, then you need to fix your site so that it complies with Google’s quality guidelines. Look for unnatural links or artificial links those points to your site, via Google webmaster tool, that may be influencing the search engine rankings, make changes to your site. Once you have made the changes, submit your site for reconsideration request from Google. If you find any unnatural links on your site that you cannot remove or control, submit those details in your reconsideration request, too. 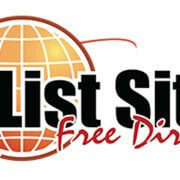 Some of the main links that you should look out for are paid links. Links originating from irrelevant blogs or websites, links from directories, links from sites that have been de- indexed and sponsored posts among others that you may feel can’t be found by real human beings. Some directories are good, though. For example, directories that are well established and have high PR and are relevant to your topic are best source to get backlinks to your site. Just be wary of link farms that seem like article directories. Link farm consist of links with “do-follow” tags. 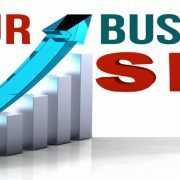 Most business or blog owners desperate for high search engine rankings turn to buy links from these link farms. However, getting a “do-follow” link back from irrelevant source just to influence search engine ranking is considered to unethical and Google penalize your site for this. Make sure that all these links are removed and have a disavow document. After cleaning up the mess, you will need to come up with better link building strategies that should be in a position to adhere to future Google updates. 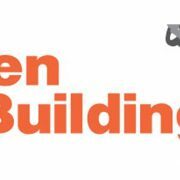 There are many link building strategies available and all you have to do is look out for the most suitable. First of all, try to get as much relevant information as you can from reliable resources. 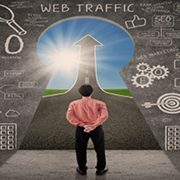 There are webmasters who know good linkbuilding strategies and have published books on the topic. Make sure to read these kinds of books before settling for one link building method. Another thing that you will need to do in order for you to recover from penguin 2.0 is to become active on social media. It’s believed that in the near future links originating from social media will be more valuable than normal links. It’s probably something Goggle are working on considering their very own Google +. Depending on your business, you can use one or more of the major social networks. Make sure you engage your audience in these social media platforms. Finally, ensure that you provide high quality content on your website. 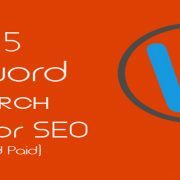 Although keyword optimization is important for targeting audience, it is still important to write unique content meant for human and not just only for search engine bots. Put your effort in providing genuine content that adds value to people. With the above mentioned tips, you will be able to get back on your feet and even escape future slaps from Google. While keyword optimization is important, make sure to write high quality content that adds value to readers. Last but most importantly, stay genuine! 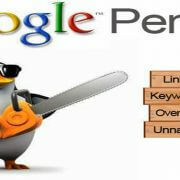 Google Penguin 2.0 is now Live! Major Google Algorithm update. Get Your Site Ready!